One brake option that most people do not think about for increased power and a more linear feel (for Nissin brake riders) is installing an aftermarket front brake caliper. Ride Engineering offers a unique billet front brake caliper designed at getting more stopping power and increasing the feel at the front lever. 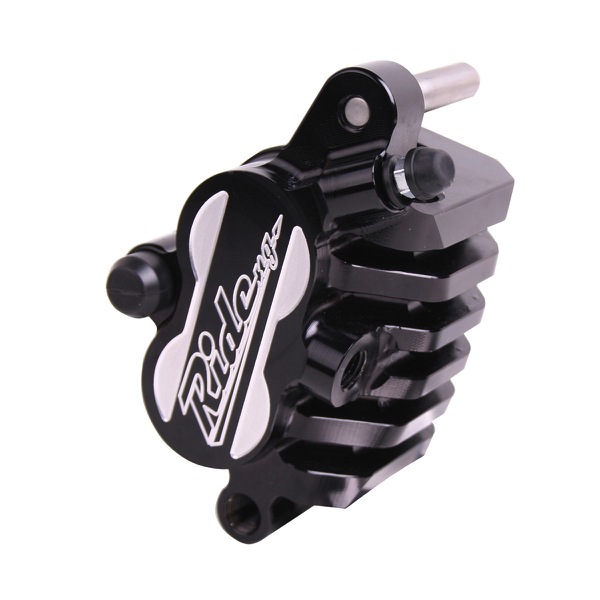 The Ride Engineering billet front brake caliper has pistons that are larger than a stock Nissin caliper and with this comes increased power at the lever. But unlike just going to an oversize rotor, this caliper can give you a more progressive feel. Going to a larger size piston changes the leverage ratio when using the stock 11mm master cylinder that most Nissin-equipped bikes come with (Honda, Kawasaki, Suzuki), so it feels more gradual and less grabby. Flex is also reduced and airflow is increased with the wider fins the Ride Engineering caliper has to offer. Once on the track for the first time you will feel the front brake lever has a slightly softer feel to it, but don’t fret, as braking power is increased and becomes more progressive. The lever might feel somewhat spongy at first, but in actuality the lever pull is lighter and gives more predictability than that of the stock caliper. The Ride Engineering billet brake caliper really shines when dragging the front brake slightly through corners. 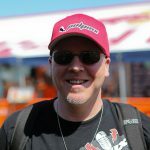 I experienced a slight increase in front end tire traction when pulling in the front brake while dragging through ruts/corners over a longer throw. Instead of getting that on/off stabbing, jerky motion when you’re trying to drag the brake (like some stock brakes can do), you will get a nice progressive feel all the way through corners. Coming into corners faster is made easier as it takes less effort to pull in the front brake lever with the Ride caliper. You will not have to pull the front brake lever in as much with the Ride Engineering caliper as it simply has more stopping power. I also tried a steel braided line and oversize rotor with the caliper and it just increases the overall power and doesn’t become grabby with the two parts added. I did notice less fade with the oversize rotor and this helped me get the same feel out of the lever all the way through a longer moto. Another reason to consider one of these calipers is that it is more lever friendly to all types of skill levels. I had my novice skilled moto friend ride my bike and he preferred the Ride Engineering caliper because it was simply less grabby and touchy. This wasn’t as intimidating to him and it helped him use his front brake more. For $399.95 the Ride Engineering Billet Brake Caliper is a good first choice brake upgrade to your machine instead of just going to an oversize rotor. You can combine all three (Caliper, Rotor, Steel Braided Brake Line) and get the most of your braking, but just simply installing the caliper does more to your stopping power than just an oversize rotor can. The Ride Engineering caliper comes in silver and black and is available for all Yamaha, Kawasaki, Honda and Suzuki owners out there.